The 4th and 5th of December saw the performances of our annual pantomime, this year’s being a parody of the epic musical Les Miserable, aptly named, Less Miserable. Written by our very own Will Windridge and Matt Ebbs, the pantomime saw John Valjean being chased around France by a cross-dressing Javert for stealing a skirt, or rather a sarong, while Fantine desperately tried to save her daughter Cosette from two scheming drag queens. The story saw John Valjean and Fantine ultimately marry and every one lived happily ever after, unlike the film. 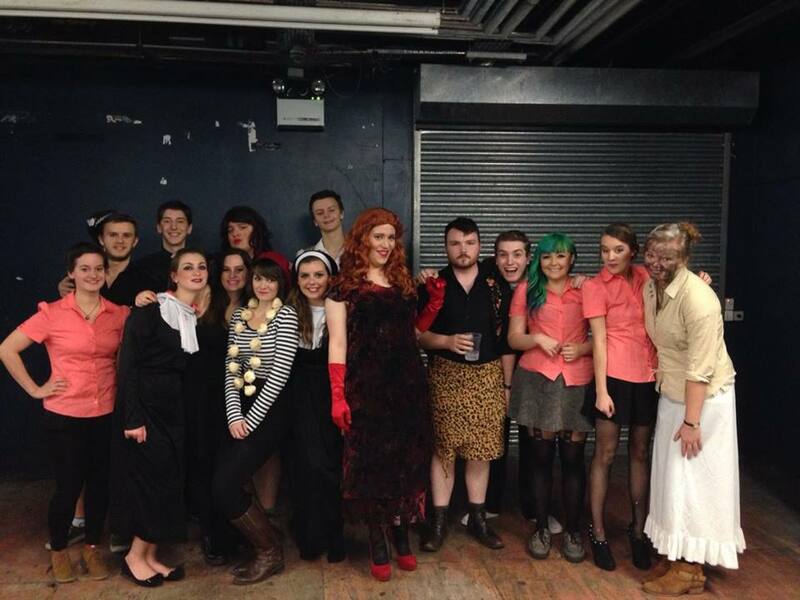 The night was a horrendous amount of fun, Divas was full to brim and the whole cast did a wonderful job. A huge congratulations to the cast; Josh Hutin, Cerys Humphries, Matt Ebbs, Mark Lloyd, Charlotte Gredal, Will Jefford,Steven Stringer, Jack Bravery Laurence Atkinson, Jennifer Taylor, Alison Bartow, Rosie Luffingham, Carys Chambers, Anina Kinzel, and Amy Jo Cooper. Once again, a big thank you to our writers and directors, Will Windridge and Matt Ebbs. Next The 24 Hour Play!